Team Lean is an 8-week community wide healthy weight loss challenge sponsored by the Valdosta-Lowndes County Family YMCA. Team Lean is a proven program to help people sustain a healthy lifestyle. Why does it work? The team concept provides accountability and motivation to work hard and achieve healthy results, for both you and your team. Cash prizes provide an extra incentive to reward the teams and individuals that are the most successful. Participants are allowed to decide what exercise and nutrition program works for their health and well-being. The YMCA supports “Team Leaners” through free exercise classes and nutritional education that promote healthy lifestyle changes. Team Lean participants can enter as an individual or as part of a team. Teams must consist of 4 to 5 members. 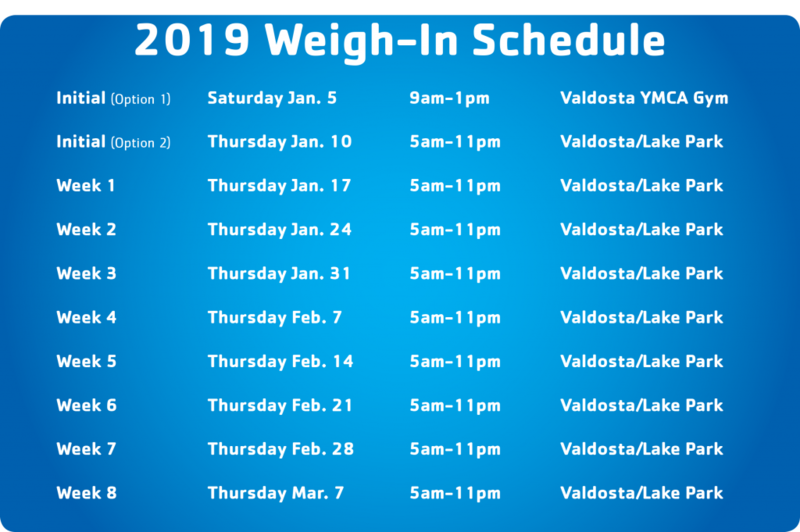 Every Thursday from January 6th to March 8th participants weigh-in at either the Valdosta or Lake Park YMCA. Team Lean participants will have scheduled appointments with a certified YMCA Fitness Coach to help guide them with their personal fitness goals and healthy lifestyle changes. YMCA Fitness Coaches are trained to assist with expert knowledge, personalized fitness programs and healthy suggestions! 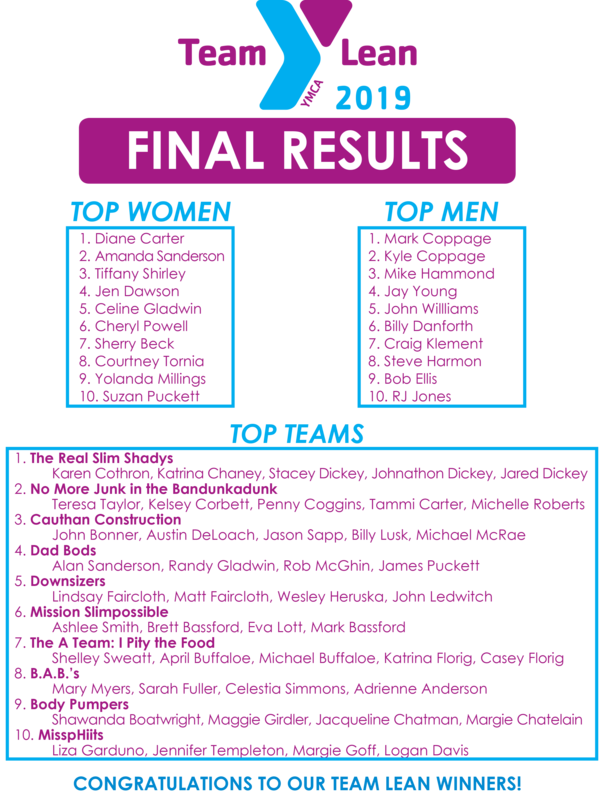 When you complete the challenge and lose the highest percentage of weight you will be eligible for cash prizes!